Hey guys! I've been looking everywhere to find out how to achieve this beautiful light effect like the one shown in Gravity Falls. 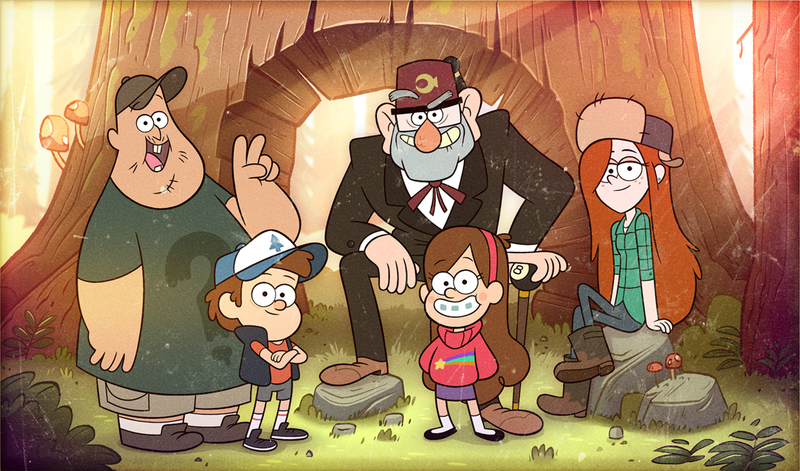 http://vignette4.wikia.nocookie.net/gravityfalls/images/1/16/Main_characters_of_Gravity_Falls.png/revision/latest?cb=20140821174543 Does anyone know where to find a Photoshop safe PNG of that light beam and dust particles? It's pretty simple but I'm new to this kind of art thing and don't know where to start with making one like it in Illustrator, Photoshop, After Effects or Flash. Thanks Guys! to raise the image above postage-stamp status? Surely you can lash something together using clingfilm and double exposure? Doesn't look like THAT much of a challenge. Maybe I'm missing something? Yeah, I'm probably missing something here in what is requested (even the larger image doesn't reveal much to these old eyes). Now, you can also (in Photoshop) add dust and other particular effects -- there are, again, TONS of ways of doing that and lots of filters -- but I'm not still sure what the point of this is. Are you seeking to animate such an effect? Do you want to do this in Anime Studio? Something more than a tiny little still shot would go a long way towards telling me what you want to accomplish. Thanks Kelley! This will help out HEAPS. I am just wanting to find a png or image of the light beam, but being able to make one myself definitely helps more since I can then make different ones and animate them in After Effects or Premiere. All I really want is to achieve the beautiful blur and lighting effects used in Gravity Falls, and knowing how to make the light beams will allow me to do so. Also I use a combination of After Effects, Premiere Pro, Illustrator, Photoshop and Flash to animate. I'm sure I can work something out to achieve this effect. Thanks for the help!